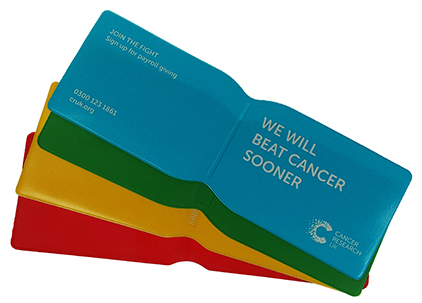 Credit card, Oyster card, membership or ticket wallets. Large selection of standard sizes available in portrait or landscape. Add extra pockets to inside and print as required. Can be fitted with gilt corners and embossed if required.